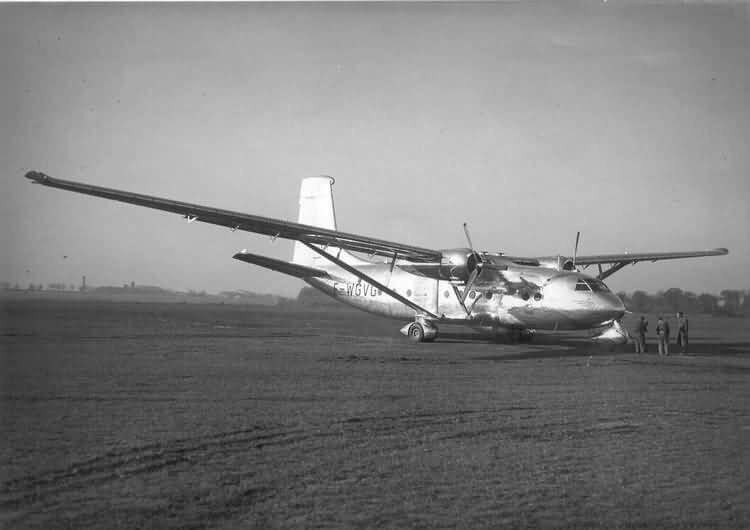 The Hurel-Dubois HD.32 was an unusual French aircraft produced during the 1950’s to exploit Maurice Hurel’s ideas on extremely high aspect ratio wings. 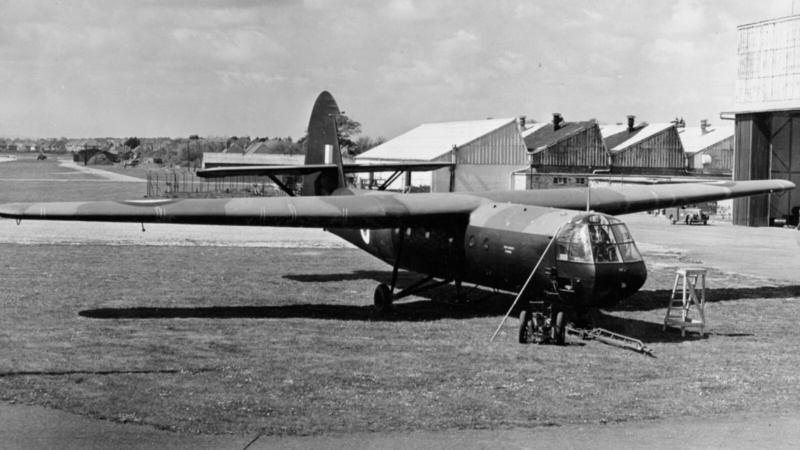 The French government sponsored the construction of two aircraft initially, one HD.31 with Wright engines and one HD.32 with Pratt & Whitney engines. 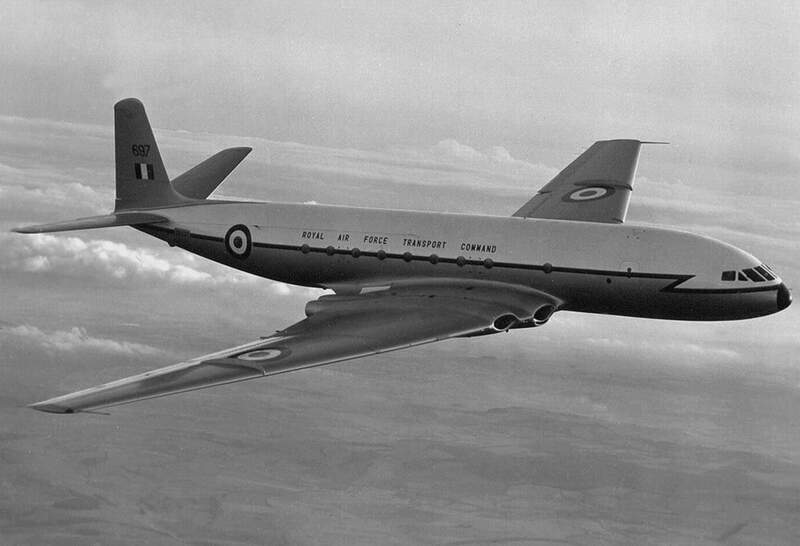 The first example flew in December 1953, initially with twin tail fins. These were changed for a single fin, then both aircraft were converted to HD.321 configuration with different Wright engines. 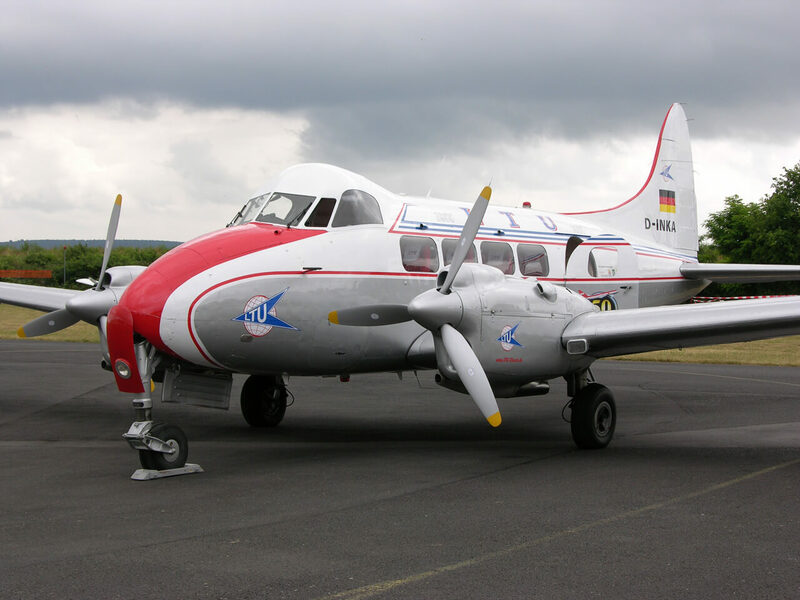 A small production run of 8 survey aircraft known as the HD.34 was built for the French Institut Geographique Nationale and operated from Criel airfield North of Paris for 20 years until the late 1970’s. 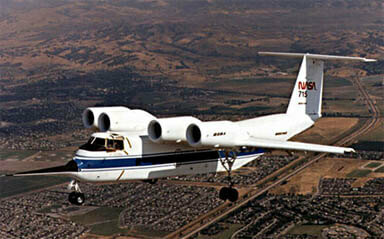 One example is still operated in France as an historic aircraft. 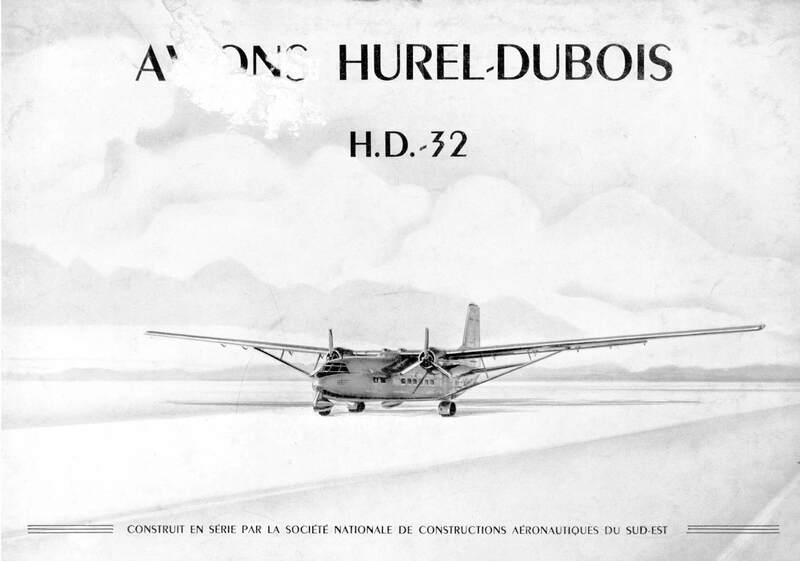 This title contains the flight manual for the Hurel-Dubois HD.32 plus additional technical brochures. The files have been scanned from the original manuals and retain any colour pages. 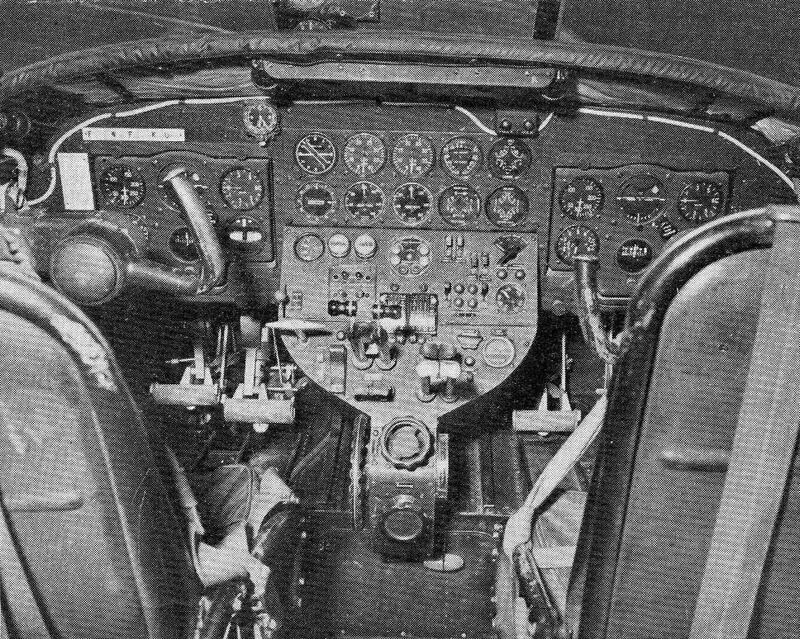 Manufacturer’s Carte De Service De L’Avion HD.321.01 (the version of the HD.32 series with Wright 982 engines). A complete manual comprising “Caracteristiques Generales (specification), Utilisation (Operation) and Entretien (maintenance)” dated July 1956 with approx 52 pages. In the FRENCH language. Manufacturer’s brochure titled “HD.32 Description, General Characteristics”, document Notice 32.00.002A dated July 1954 with approx 30 pages. In English. 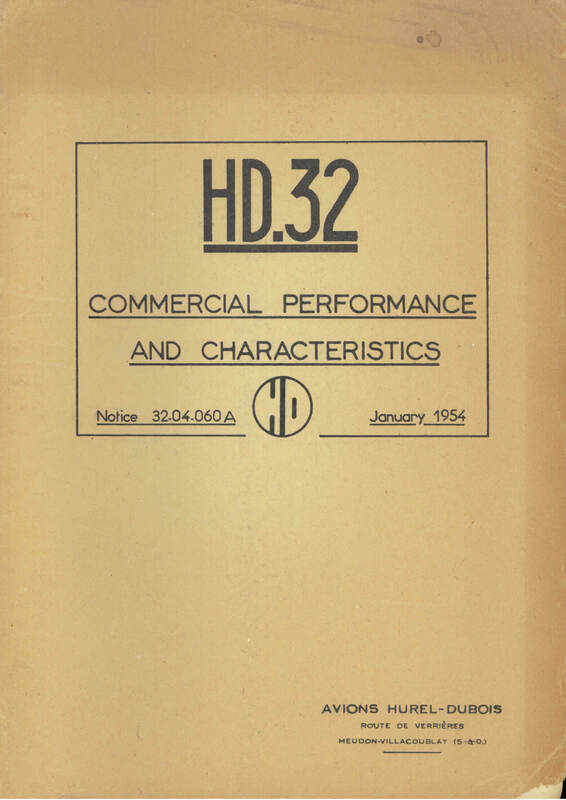 Manufacturer’s brochure titled “HD.32 Commercial Performance and Characteristics” document Notice 32.04.060A dated January 1954 with approx 65 pages. In English. 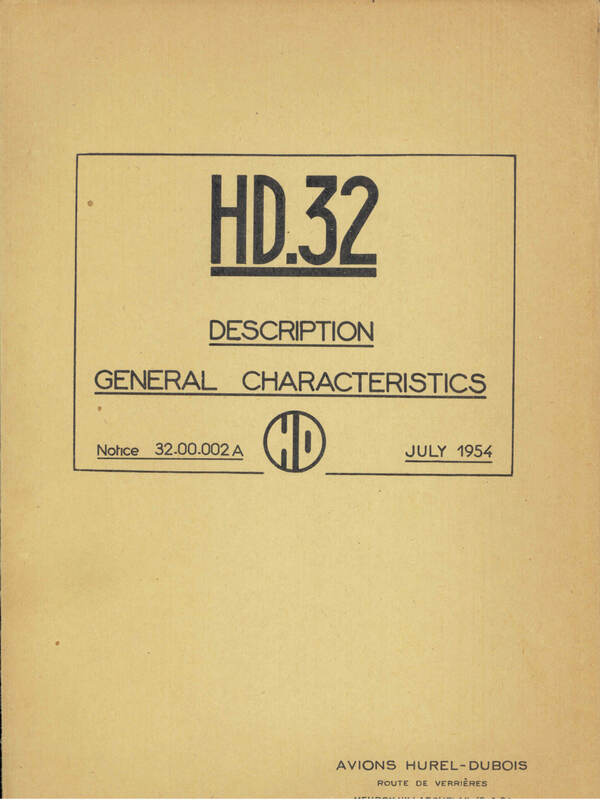 Manufacturer’s brochure for the HD.32, undated with approx 20 pages. In English. Three page ALPA report on a flight evaluation carried out on the HD.32, dated 9-8-55 with 3 pages. In English.